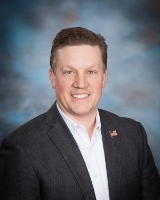 Chris Reimer was re-elected to the School Board on April 5, 2016. He serves as an alternate on the Buildings & Grounds, Personnel & Finance, Policy, and Curriculum Committees. His term expires April 2019. 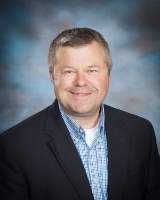 Jeff Brey was re-elected to the School Board on April 5, 2016. He serves on the Negotiations, Personnel & Finance, and Policy Committees. He also serves as an alternate for the Buildings & Grounds and Curriculum Committees. His term expires April 2019. Dr. Goldbeck was elected to the School Board on April 4, 2017. He serves on the Buildings & Grounds, Curriculum and Personnel & Finance Committees. He serves as an alternate for the Policy Committee. Dr. Goldbeck is also the Board Representative for the Teacher Engagement Council. His term expires April 2020. 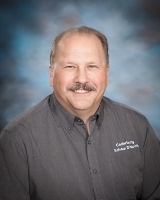 Mr. Krier was re-elected to the School Board in April 2018. He serves on the Curriculum, Negotiations, and Policy Committees. He serves as an alternate on the Buildings & Grounds and Personnel & Finance Committees. His term expires in April 2021. Mr. Kennedy was re-elected to the School Board on April 4, 2017. He serves on the Buildings & Grounds and Negotiations Committees. Mr. Kennedy also serves as an alternate for the Personnel & Finance Committee. His term expires in April 2020. Mr. Leach was re-elected to the School Board on April 5, 2016. He serves on the Buildings & Grounds, Curriculum, and Policy Committees. 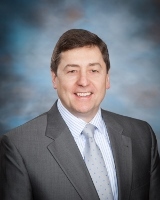 He also serves as an alternate for the Personnel & Finance Committee and is the WASB Board Delegate. His term expires April 2019. 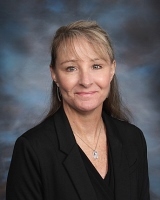 Dr. Cox was elected to the School Board on April 3, 2018. He serves on the Personnel & Finance Committee and is an alternate for the Building & Grounds Committee. 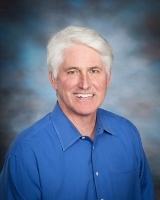 Dr. Cox also serves as the CESA1 Board Representative and is the City/School Liaison. His term expires April 2021.